We pride ourselves on showing up on time (or early). 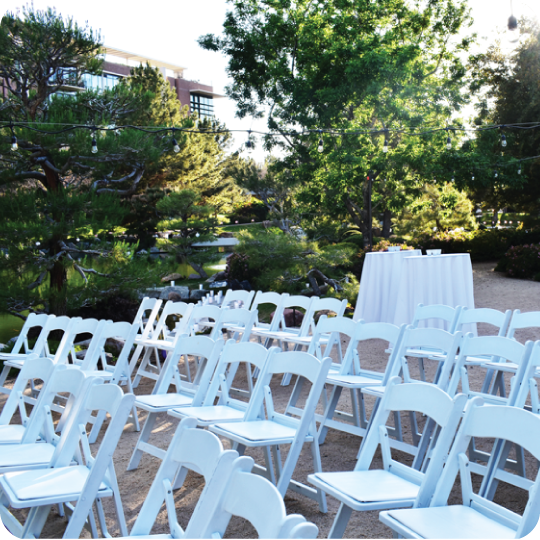 When you choose VLI Events, you’re choosing a company that strives to be the best. And with events, being the best means being on time, reliable, ready to work, and able to plan ahead. There are always unexpected circumstances when planning an event - we’re there to help fill in the gaps and make sure everything goes smoothly. We’re event gurus, we’ve worked in a variety of environments, and we’re here to make sure your event is professional, classy, or out of this world - whatever your style! Our experience makes us great at anticipating your needs and thinking beyond your requests. We are here to help - and we will do so with positive attitudes and respect for all involved in your event. We love what we do and we want to do it well. Our prices are competitive with other event companies in the valley. In fact, if you book with us, you’ll find that you’ll receive more than what you paid for. Our skills, professionalism, and reliability set us apart from competitors with rotating crews and lacking communication. Led by a father and son team that you can trust. Need a stage production team that does it all? We’ve got you covered. From lighting to stage rentals, to professional sound and more, VLI Events is the company you need to make it happen. From basic PA systems to large concert setups, we have everything you need to sound (and look) amazing. Whether you’re announcing “you may kiss the bride” or hitting the high notes, our sound and staging quality is on point (and reasonably priced). We arrive early, we stay late, and most importantly, we ensure that this part of your event goes perfectly. Hosting an event? Large or small, we handle it all. We have worked with events of 50 to 10,000 attendees. We can do almost anything! From large galas and festivals with concert-level needs to mid-sized church and school functions or weddings, we provide professional staging, lighting, and impeccable sound quality, regardless of size. We can do beautiful lighting for a wedding or a full light show for a concert event. We provide sound systems, stage rentals, and can even act as a wedding venue. 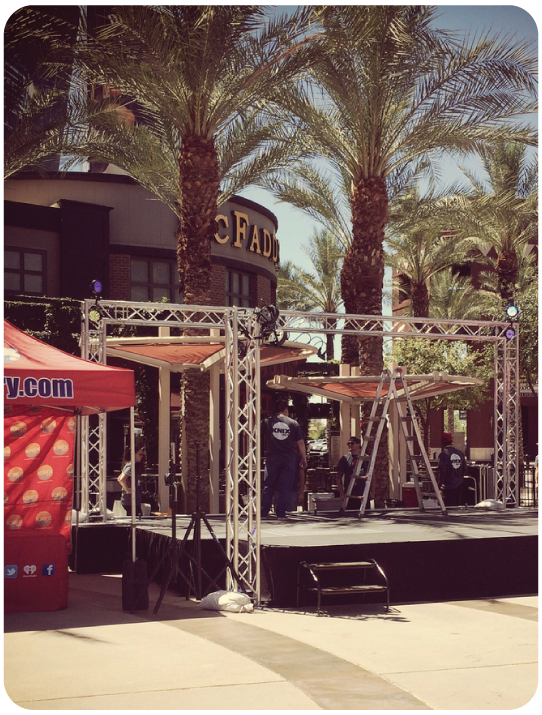 Our team will help you identify exactly what you need to run the best event.